Dates: Available daily from 5th May to 20th October. The Black Forest in Germany, which locally is known as the Schwarzwald, is widely known as one of Germany’s most beautiful hiking regions. During this Black Forest Walking Holiday in Germany, you will be sure to be enchanted by breathtaking panoramic views, many lakes with a deep blue colour and interesting landscapes. During the week you will hike up the Black Forests highest peak; this is the Feldberg at around 1500m. You shall then follow on to one of the biggest ski resorts of the region Todtnauberg, before walking through the gentle and beautiful valley of Bernau. Lastly, on this Black Forest walking holiday, you shall follow the trail that leads to Lake Schluchsee. This is another highlight at 7.3km long and 1.4km wide but this is not a natural lake, it is indeed a reservoir lake created by a 64m high dam. Here you shall ramble along its shores before the final ascent to Titisee, while you admire the surrounding countryside. Come and enjoy a hiking holiday in Germany and visit the Black Forest, you won’t regret it! Day 2 Titisee / Saig to Hinterzarten 10 miles 16km 355/505m up/down 4-5 hours walking. Today you shall walk through a quiet forest into the Rotmeer nature reserve. Then, you will traverse the Bärental. You must take time to visit the Seebach waterfalls. Once you have taken a few photos the walk continues up a steep incline where you reach the West Trail (just one of the many Black Forest hiking trails). Following the trail, you shall come across numerous small lakes before you reach Hinterzarten. Day 3 Hinterzarten to Feldberg 10 miles 16km 950 / 350m up/down 4-5 hours walking time. Before starting on your hike today spend some time looking around Hinterzarten. When ready leave Hinterzarten where you shall walk up to the picturesque Feldsee. The Feldsee is actually a tarn which was created during the Ice Age. It is actually the largest in the Black Forest and you shall see that it has three high mountains of 300m on three of its sides. Why not take a break at this idyllic location. After which you will continue and follow a narrow path up to the Seehalde. You then continue upwards passing a small ski resort and continue to your overnight stop at a mountain inn on the Feldberg. Day 4 Feldberg to Todtnauberg 10.3 miles 16.5km 450 / 585m up/down 5 hours walking time. Today you will climb the Feldberg which is the regions highest peak at around 1500m. The walking trail does rise steeply initially but soon you will reach the peak. Now from the highest point of the Black Forest, you can wonder at a marvellous panoramic view; Black Forest hiking at it’s best! After maybe a short rest you continue to hike along the West Trail. The tour leads through some quiet forests mostly gently downhill. Soon you shall arrive at today’s destination which is the lively winter resort of Todtnauberg. Day 5 Todtnauberg to Bernau im Schwarzwald 11.3 miles 18km 825 / 930m up/down 5-6 hours walking time. Today from the ski resort of Todtnauberg you descend down into the valley to Todtnau. Then from here, you shall take the chairlift up to the Hasenhorn. Take some time to maybe look at the coaster run which is 2.9km in length. After a short detour to the summit and admire the views, you will hike past the Prägbachfällen and onto Bernau. Bernau is considered by many to be one of the most beautiful high valleys in the Black Forest. Day 6 Bernau im Schwarzwald to Schluchsee 15 miles 24km 530 / 500m up/down 6 hours walking time. This is a long but beautiful day and we think the most beautiful stage of the week. As part of today’s walk you will pass a disused silver mine and hike along the Schluchtensteig for a while. This is one of the most popular Black Forest trials in the region and will bring you up to the Krummenkreuz. From here you will walk on more forest trails down to Schluchsee. The path now leads along the shore of this wonderful lake to the centre of the Schluchsee health resort. For your last day, a lovely Black Forest walk awaits you as you ramble along the shores of the Schluchsee and into the small community of Falkau. 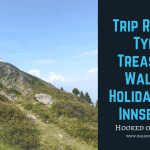 Now one last steep ascent and you will have reached your accommodation high above Titisee. Here you can relax and enjoy the end of your walking holiday. Level 2 -3. Moderate hikes with an average duration of approximately 4 to 6 hours per day. The tours lead partly on rocky and possibly also slippery paths. For that, you should bring sure-footedness. For the hills in the Black Forest, a good level of fitness is required. 3 star equivalent guest houses or country inns – note 1 night at a basic inn on top of the Feldberg mountain. By plane to Basal and then by train via Freiburg to Titisee. Then by bus or a taxi to the first hotel.